Starting July 1, 2018, Berry & Smith is now operating all bus networks in the South Okanagan. 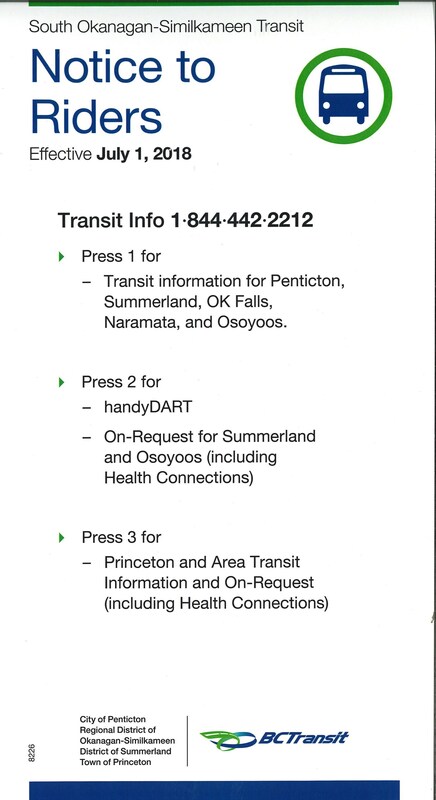 This includes custom transit services such as Penticton handyDART and Summerland On Request. OneSky Community Resources was proud to deliver paratransit services on behalf of community for 36 years. We thank our drivers and dispatchers for their dedication and exceptional customer service to riders. Many of these staff are now continuing this work as employees with Berry & Smith. 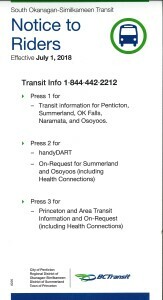 While OneSky continues to support a seamless transition of services, we do ask that people contact the numbers shown if you need information or have questions. Thank you.